This article is part of a series. Learn more about it and access links to other articles in the series here. This week, I want to talk about one of my favorite topics: Initiative. This is a critical part of being proactive—another topic I’m passionate about. 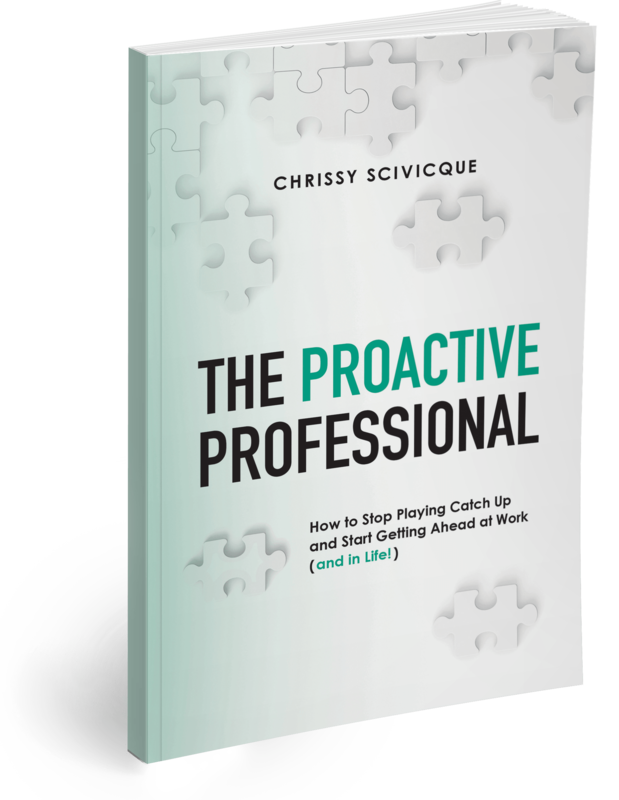 In fact, my book, The Proactive Professional, discusses the importance of taking initiative in-depth, and it also addresses how to do it appropriately in the workplace. I believe I’ve actually covered the topic completely in the book, so today, I want to share a short excerpt here. As you’re reading, it’s useful to understand that I reference a skill called “Intentional Action” which is one of six key components in the Proactive Skillset, a key concept discussed throughout the book. 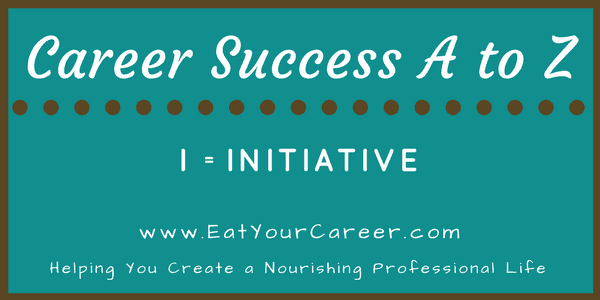 In short, Intentional Action is all about taking timely, deliberate action to achieve the outcomes you’re looking for. Taking initiative is a big part of that. If you want to be successful in your career, you need to step up and act—without waiting for others to push you, offer direction, or hold your hand. When I tell people to take initiative in the workplace, they often express concern. They don’t want to step on toes or get in trouble for crossing some invisible line. I get it—some people have had bad experiences. They’ve been micromanaged into a permanent state of reactivity. Others have simply overstepped in the past and are scared to try again. To be clear, “taking initiative” isn’t simply a green light to do what you want, when you want. It’s something that carries risk and, when not done properly, can create problems. But it’s also not that complicated. Here’s the basic rule for taking initiative: If you know what needs to be done and you know it’s something within the scope of your position and capabilities, DO IT. Don’t wait for direction. Don’t look for approval. Don’t hand it off to someone else. Take Intentional Action. No permission or forgiveness needed. If you’re qualified by virtue of your job and your abilities, there’s no reason to question yourself. If something falls clearly outside of the scope of your position and capabilities, that’s a different story, and this is where initiative can go awry. I’m not advocating insubordination here. The workplace has a chain of command for a reason. Ignoring it may cause all kinds of unintended consequences. Recognize the limits of your authority and respect the hierarchy of your organization. When you’re just learning to take Intentional Action, you may realize in some instances that you’re not quite sure where those boundaries are. You think you know what needs to be done, but you don’t know if it’s within the scope of your position. Perhaps it’s not specifically spelled out in your job description, but it makes sense for you to handle it. Do you take initiative or do you hold back? Unfortunately, there are no hard and fast rules for how to handle such situations. You have to use your best judgment based on what you know about your role and your workplace. Does your manager prefer to see people make decisions and take action on their own, even if they occasionally miss the mark? Or is your manager the hands-on type who wants to have input beforehand? If you don’t know the answer to these questions, have a proactive conversation with your manager. Get clear guidance regarding where those invisible lines are for the future. And if they’re unnecessarily restrictive, ask what needs to be done to loosen them. In any case, before taking initiative, always ensure you’ve done your due diligence. Use the other skills in your Proactive Skillset to verify that the action you’re considering is reasonable and defensible. If someone asks why you took a particular action, will you be able to offer a logical, well thought out explanation? If not, taking initiative is not worth the risk. Even under the best of circumstances, you may occasionally still miss the mark. You might have been trying to take initiative but you realize in hindsight that you made a mistake. We’ll discuss this more in the next chapter but, for now, recognize that it’s an almost inevitable part of the process. Presuming you’ve followed the guidelines here, you can recover for almost any honest mistake of over-enthusiastic initiative. Some people are afraid of taking the wrong action and they’re afraid of facing the unknown consequences of action. As a result, they procrastinate and abdicate responsibility to others. Taking initiative is risky, no doubt. It requires putting yourself “out there” so to speak. Action is noticeable and it’s yours to own, whatever the results. You have to account for this risk, and manage and minimize it. People who fail to take initiative don’t know it, but they actually create more risk through their lack of action. It might feel safer in the moment, but later, once the future unfolds upon them, their error is clear to those who are looking. These people also create greater risk through their uncalculated actions. Fear pushes them into rash decisions, and their impulsive actions increase the likelihood of danger ahead. Thus, they encounter more fear in the future and the cycle continues. Taking initiative means facing the inevitable fear it produces and the grim reality of the alternative. Yes, it comes with a certain amount of risk, but it’s far outweighed by the potential rewards. And the risk itself is negligible when compared with the risks of not doing it at all. I hope this article proves helpful to those who are looking to take greater initiative in their work and their career. 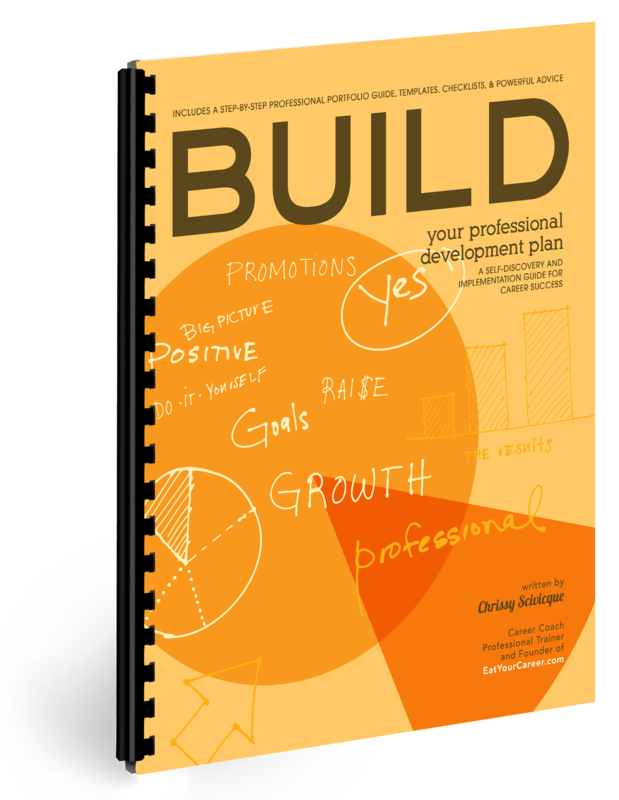 To learn more about this topic and others, pick up a copy of The Proactive Professional.